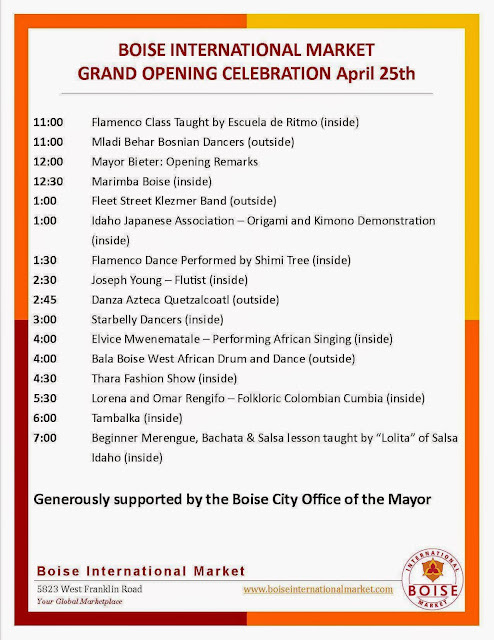 Treasure Valley Treats and Tragedies: Boise International Market's Grand Opening Tomorrow! Boise International Market's Grand Opening Tomorrow! 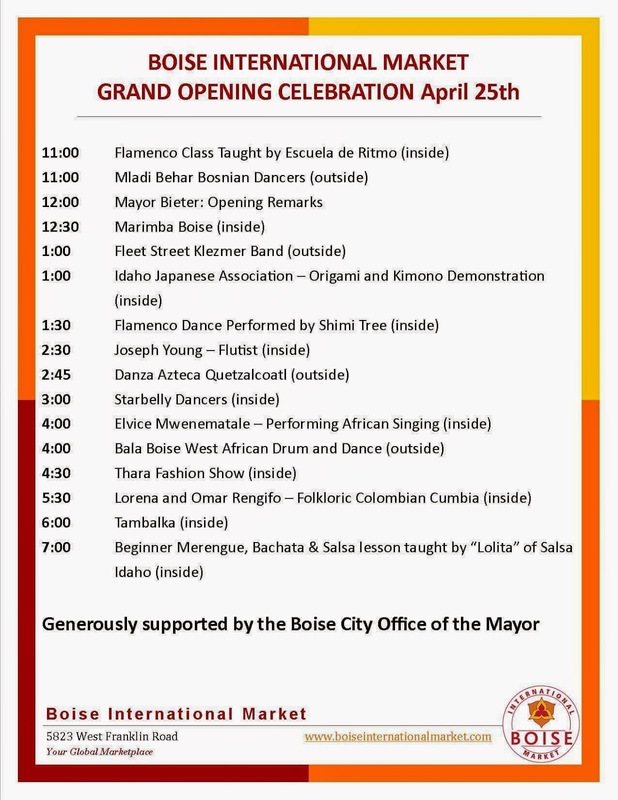 Just a reminder, Boise International Market celebrates their grand opening tomorrow, April 24, from 11 a.m. till 7 p.m. There will be various forms of entertainment and, one can only assume, a variety of tasty and exotic edibles. Hope to see you there! P.S. If this post is wonky, blame Blogger's mobile app.